Boulder Engineering Studio (BES) and Boulder Startup Week are woven from common Boulder threads. Founded on the premise of making product development services more accessible to startups and established businesses alike, BES has been a part of the startup community since its founding in 2010. Today, BES is comprised of over a dozen engineers and technicians specializing in mechanical, electrical and firmware design and production. As a longtime track sponsor, BES is excited to step up to be one of 2018’s Platinum Sponsors. Boulder Engineering Studio often stands out in Boulder with its physical product focus. Using their phased development approach to product development, they help their clients from concepting and viability to onshore and offshore manufacturing, iterative rapid-prototyping, and all the testing in between. The output of phased development helps startups build confidence at each stage of the process and produce real results. Whether it be flushing out a paper prototype, validating a proof-of-concept, creating a technical product plan and schedule to help secure a funding round, or helping launch a second generation product, BES isn’t afraid to step in and lead or augment your existing team. Such collaborative freedom mixed with product diversity is what BES finds so appealing at Boulder Startup Week, and what makes BSW an invaluable part of the entrepreneurial culture and spirit. 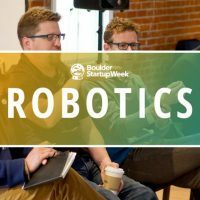 This year at Boulder Startup Week, team members from BES will be participating and helping out with several events in Legal, Robotics and IoT so keep an eye out for them on the event schedule or reach out to them directly if you want to chat or just say hello! Boulder Startup Week thanks BES for their continued support of BSW and Boulder’s own local innovation.